Virgil is a universally flattering top, designed to celebrate and highlight the beauty of all women and all body types. 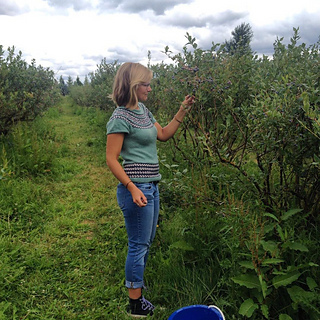 The gentle shaping is naturally formed by the slightly tighter tension of the colorwork bands, bringing stability and fit to the yoke and waist and allowing the bust and sleeves to flow easily and comfortably over the body. 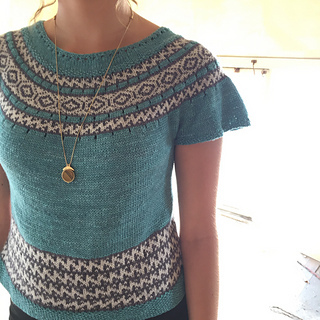 The sample was knit in Vixen by Little Fox Yarn- a super soft merino/silk blend which drapes beautifully and is delightful to wear against the skin. 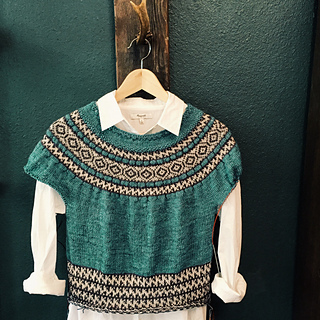 Knit from the top down in the round, show-stopping sweater is deceptively simple and suitable for all levels of knitters. 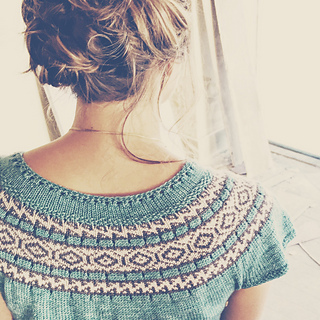 There are no short rows, seaming or complicated construction elements required. This pattern is offered in a wide array of sizes, from a 31” through 59” bust circumference. Due the the large number of sizes available the pattern has been split into 2 pdfs, one for sizes XS-L and one for XL-4XL. I’ve also made different charts for the 2 size sets so that the colorwork sections maintain the appropriate ratio. 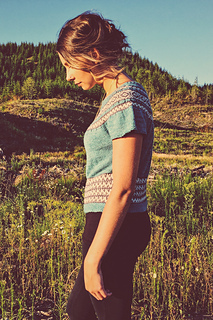 You’ll receive both patterns when you purchase the Virgil Tee, just make certain to download the one with the size you wish to knit. Sizes: 31, (35, 40”, 43”, 47”, 51”, 55”, 59”) inches bust circumference. 0-4” of positive ease is recommended. Choose a size by measuring the wearer’s bust and selecting the size that measures 0-4” larger. For example, a person with a bust measurement of 52” should knit the size 3XL (55”). Suggested yarn: Suggested yarn is Vixen by Little Fox Yarn, an 80% superwash merino/ 20% silk blend. 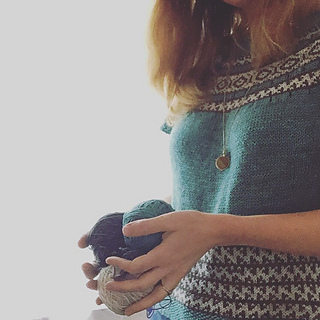 Note- Gauge is measured in solid color stockinette after blocking. My color work gauge is ever so slightly smaller than my plain color gauge, which works for this pattern as it gently pulls in the design at the waist and yoke. If your color work gauge is the same as your plain gauge you may want to go down one needle size in order to achieve this effect. Be sure to block your swatch before measuring the gauge. Please share your projects and FO’s, I love to see them! 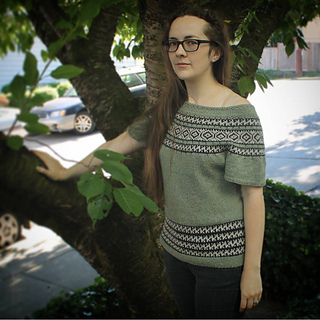 Just use #virgiltee and #boylandknitworks on Instagram (you can find me there as boylandknitworks), or hop onto my Ravelry group to chat about this pattern and more! 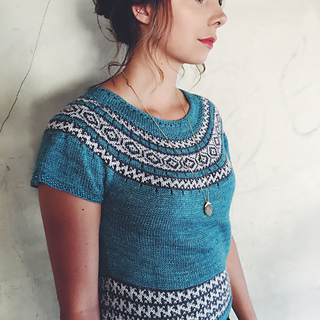 A huge thank you to Aimee of Little Fox Yarn for creating the most gorgeous yarn for this project and granting me creative freedom to make this top! I also want to thank amazing and speedy test knitters knitpurlspin, Lou7, lisa-ann and websterstknittery! You guys are amazing, thank you sooooo much!! !